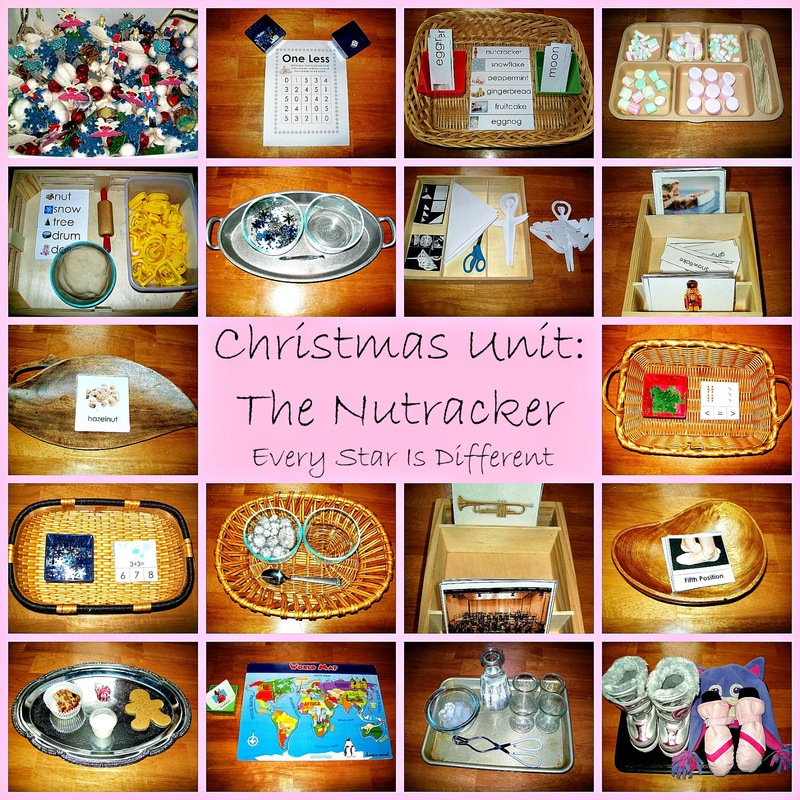 It's no secret that we're crazy about the story of the nutcracker around here. 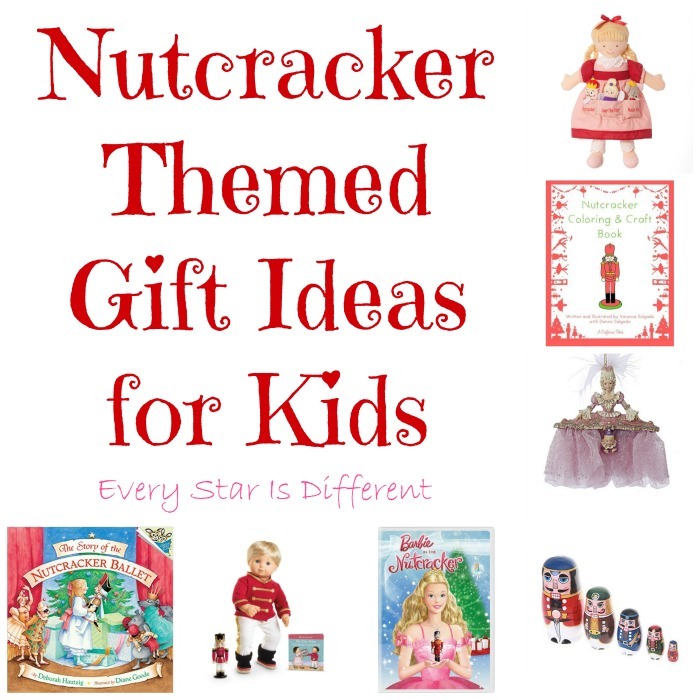 It seems every Christmas we have a few more fun nutcracker activities on our shelves. Last year we added these beautiful nutcracker multiplication and division activities. They were such a hit! I wanted to be sure that I shared the free printable I created for them. Anyone who has read the story of the nutcracker or seen the ballet knows the character Mother Ginger with all of her many children. The activity below was designed with this character in mind. 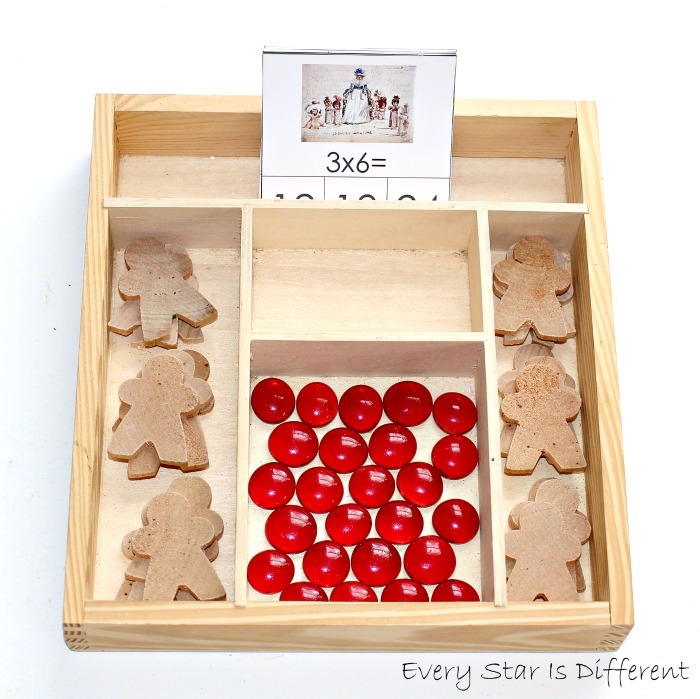 When doing this activity, a child selects a clip card and uses the wooden cutouts of children as counters if needed. Once the problem is solved the child will put a red bead on the correct answer. 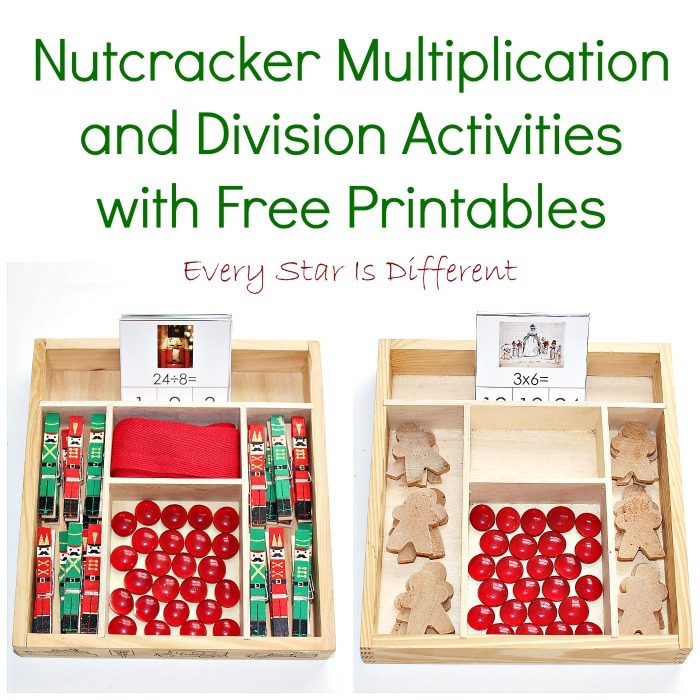 Source: I created the printable for this activity as part of my Nutcracker Multiplication and Division Printable Pack. This is a subscriber's only freebie. For your free copy, click on the subscribe to newsletter link at the bottom of this post. Once you have subscribed a thank you note will be sent to your e-mail account with the link to the subscriber's only freebies page and the password to access it. I found these beautiful nutcracker clothes pins at a local store and fell head over heels in love with them. 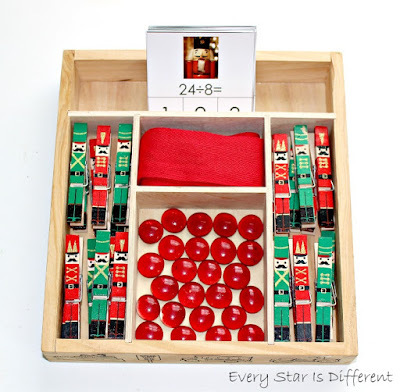 For this activity the child will select a division clip card. He will then roll out the red ribbon, adding clothespins to it in groups to solve the problem. Once finished, he will use a red glass bead to mark the answer. 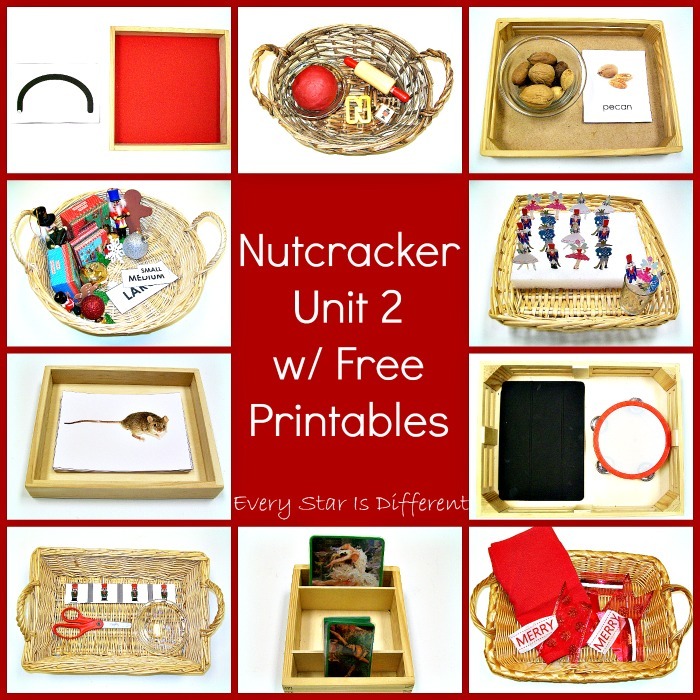 We hope you enjoy the printables as much as we have! If you fell in love with these activities you may also enjoy the posts below.